Oscar Wilde penned his groundbreaking play, ‘The Importance of Being Earnest, A Trivial Comedy for Serious People’, sometime in between 1891 and 1895. The play opened in 1895 to tremendous success, partly owing to its controversial theme, and partly because of its scathing wit and humor. This play finally gave Wilde the success that he was looking for, and had attempted to achieve, since the early days of his literary career. 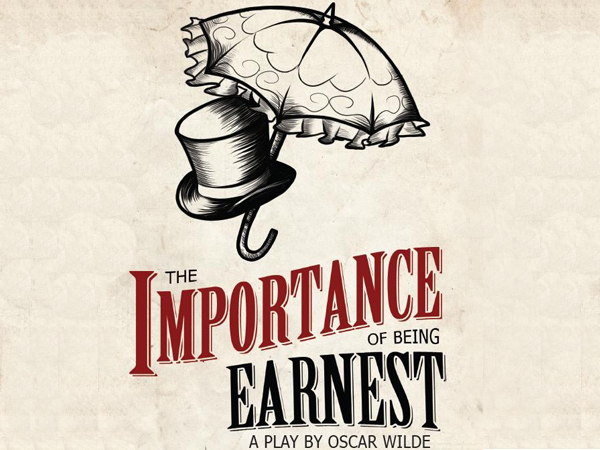 The Importance of Being Earnest is set in 1895, in prudish and uptight Victorian England. Wilde uses the classic trope of mistaken identity in the play, with a twist. Young friends Jack Worthing and Algernon Moncrieff have taken to creating alter egos of themselves, both by the name of Ernest. They have the very important reason for doing so: the women they love both claim to wish to marry only men named Ernest, because of the aristocracy they associate with the name. As the paths of the four people and their friends and families cross, the two young men find themselves increasingly caught up in the web of lies of their own creation. This is, of course, one of the greatest themes explored in the play. All the characters hold morality and strength of character in high regard, or earnestness, if you please. In the process, they end up, consciously, resorting to lies and deceit in order to maintain appearances. All the characters insist on the importance of earnestness, and all the deceit in the play revolve around the characters of Ernest, which are both fictitious and therefore not in earnest at all. It is probably understandable that Wilde took a vicious jab at the very society he was a part of; as a member of the rich elites in the society, he felt compelled to hide his homosexuality from everyone for fear of persecution, and then later, was subject to intense ridicule and humiliation when his sexual orientation came out in the open. In The Importance of Being Earnest, the principal characters belong to the upper cases, the wealthy elites. They are uptight people who apparently place great value on the moral compass, being quick to condemn anyone with the slightest of failings. In their own lives, however, they are full of shortcomings, and attempt to cover those up by inventing lies and deceit of their own. Wilde’s portrayal of the roles of the two sexes is an interesting one in the play. It is clear that the apparent role played by the genders is the appropriate one approved by Victorian society- man as the intelligent, powerful beings, and women as the beautiful, chaste, but ultimately dense creatures. However, covert subversions of the gender roles become apparent when Lady Bracknell assumes the position of power, and Algernon and Worthing both make mistakes that prove them to be less in possession of their intellectual faculties. It is highly possible that this subversion of roles is Wilde’s way of pointing an accusing finger at the stereotyped and often nonsensical roles assigned by the society to its members. The reaction to The Importance of Being Earnest can be best described as mixed. When the play opened in 1895, it met with widespread acclaim. This was partly because of the fact that the play was highly enjoyed by the burgeoning middle classes, who were becoming more educated and more aware of the follies and injustices of the upper classes being represented in the play. Down the years, it remains one of the most adapted works by Wilde. However, the play also attracted a lot of flak, especially from Wilde’s own family, who considered it wildly offensive to be mocked as a class in the play. Most critics, however, agreed that the play, albeit a farce, was certainly humorous and clever enough to be a real crowd-pleaser. The success of Earnest is, in many ways, ironic. To begin with, it is surprising that, with its obvious homosexual undertones, the play became as well-received as it was in the ultra-conservative Victorian English society. Wilde himself was heavily persecuted for being a homosexual, the orientation being criminal offence in the day. It was only after the decriminalization of homosexuality in the USA in the 1960s that led to a revival in interest in the play, and people began to view the play in a new light, as an expression of the contempt the author felt for the highly hypocritical, superficial, and prejudiced notions of the society he lived in.